The popular Disneyland Resort Southern California Annual Passport has been made available once again for guests to buy. 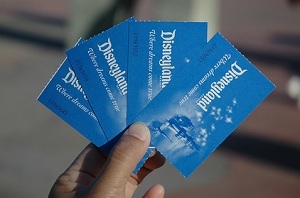 The pass allows admission to Disneyland Park and Disney California Adventure Park on most weekdays and select Sundays. The Disneyland Resort Southern California Annual Passport will be available for purchase based on availability at Disneyland Resort box offices on Thursday and at Disneyland.com at a later date. It is only valid for Southern California residents living in ZIP codes 90000-93599. There is a monthly payment program that is only available for California residents. The monthly payment program allows the cost of the annual pass to be spread over 12 months after an initial down payment. The monthly payments program is only valid for California residents who are 18 and older, and live in ZIP codes 90000-96199 with valid ID. The price of a new Disneyland Resort Southern California Annual Passport is $459. Passholders who wish to renew their pass are eligible for a $20 discount if they renew before the current pass expires. Annual passholders have access to exclusive merchandise, special experiences and are eligible for discounts on select food and merchandise.